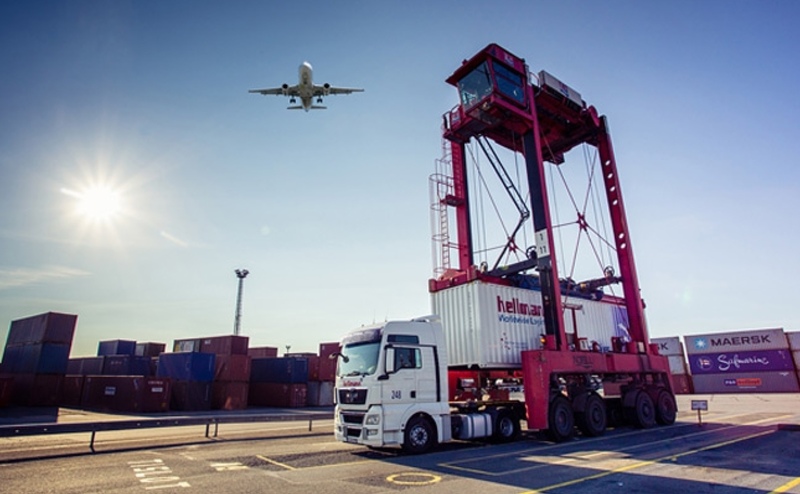 After a successful joint assessment phase, the globally active logistics service provider Hellmann Worldwide Logistics signs a cooperation agreement with cargo.one, the digital cross-airline booking platform founded in 2017.cargo.one enables Hellmann Worldwide Logistics to book air freight capacities fully digitally in the future via the platform in real time at dynamic live spot rates for its customers. cargo.one is the first platforms of its kind to offer freight forwarders an online booking service for air freight. As a logistics service provider that focuses on innovation, Hellmann is one of the first customers of the Berlin-based company and thus plays a pioneering role in the digitalization of the logistics industry. Initially, Hellmann will use the carrier-independent platform throughout Germany before implementing the tool across its network in a worldwide roll-out. "We are delighted to have convinced Hellmann, a leading and forward-looking global logistics group, of the advantages of the cargo.one-platform and our offering. For airlines, cargo.one offers an even more attractive distribution channel thanks to the cooperation with Hellmann Worldwide Logistics." Since its foundation in 1871, Hellmann Worldwide Logistics has developed into one of the largest international logistics providers. In 2017 the Hellmann Group, with around 13,000 employees in 255 branches in 56 countries, achieved sales of around EUR 3.2 billion. Through its partner network, the company is represented worldwide with around 19,500 employees in 437 offices in 162 countries. The range of services includes classic forwarding services by truck, rail, air and sea freight, as well as a comprehensive offer for CEP services, contract logistics, industry and IT solutions. Nach einer erfolgreichen gemeinsamen Evaluierungsphase schließt der weltweit tätige Logistikdienstleister Hellmann Worldwide Logistics mit cargo.one, der 2017 gegründeten, digitalen und Airline-übergreifenden Buchungsplattform, einen Kooperationsvertrag. cargo.one ermöglicht es Hellmann Worldwide Logistics, künftig Luftfrachtkapazitäten volldigital, in Echtzeit zu dynamischen Live-Spot-Raten für seine Kunden über die Plattform zu buchen. cargo.one ist die erste Plattform ihrer Art, die Luftfrachtspediteuren einen Online-Buchungsservice anbietet. „Wir freuen uns, mit Hellmann einen führenden und zukunftsgewandten globalen Logistikkonzern von den Vorteilen der cargo.one-Plattform und unserem Angebot überzeugt zu haben. Für Airlines bietet cargo.one durch die Kooperation mit Hellmann Worldwide Logistics einen noch attraktiveren Distributionskanal. Gemeinsam werden die beiden Unternehmen darauf hinarbeiten, die Kapazitäten weiterer Airlines auf die Buchungsplattform zu bringen.